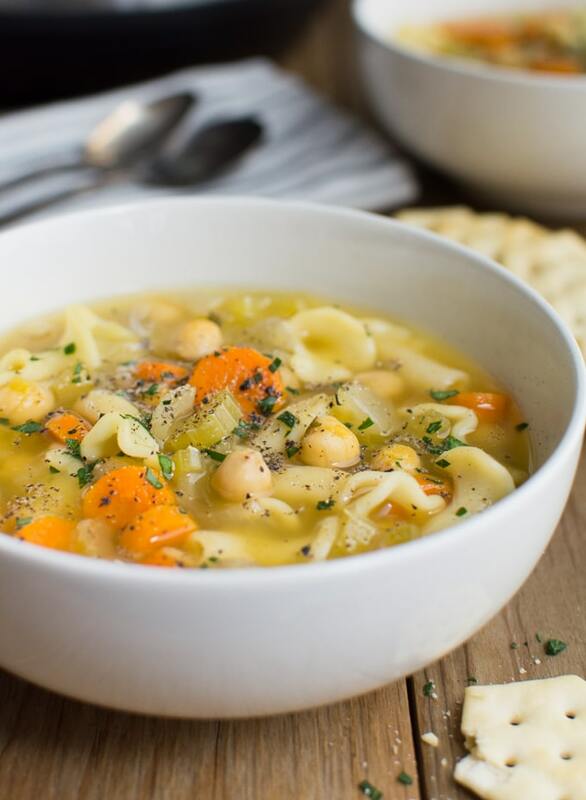 Vegan noodle soup can be made in the Instant Pot or on the stovetop. 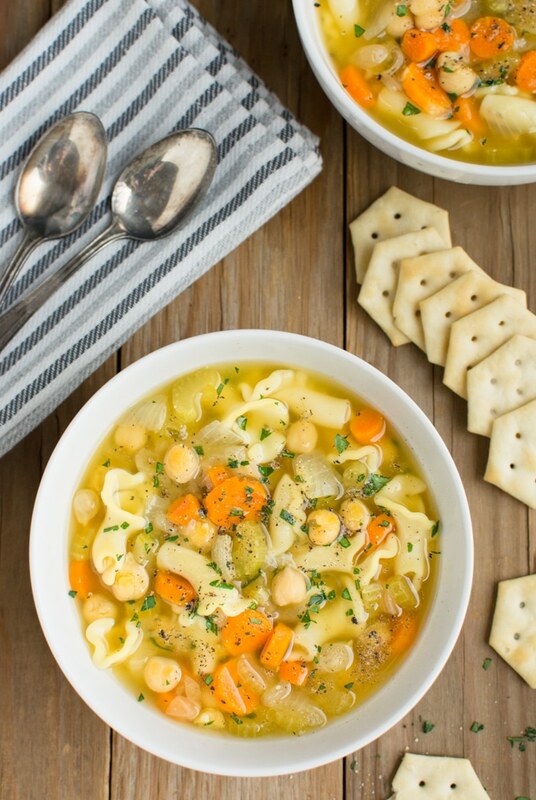 This classic soup is full of easy-to-find, everyday ingredients making it an ideal last minute meal. 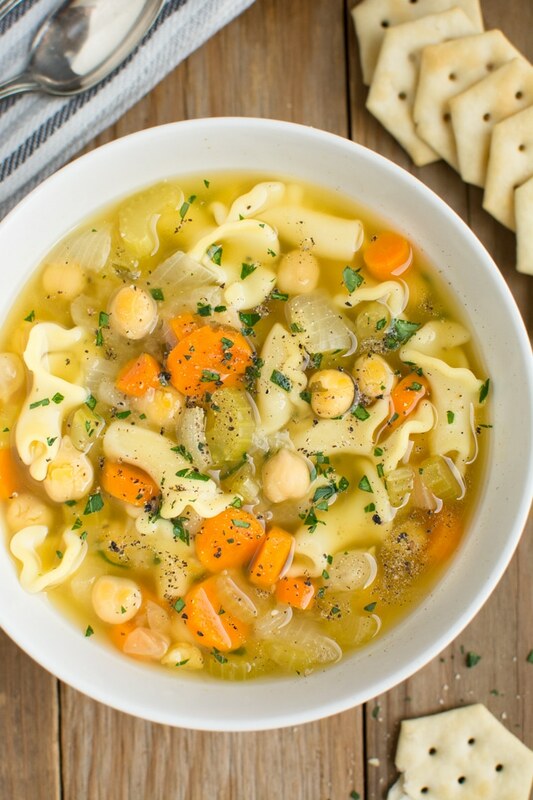 So stay warm and keep healthy this season with a big bowl of this comforting soup! Start by chopping the vegetables, then add them to your soup pot. Just like my vegetable and wild rice soup I find a smaller chop to be more enjoyable. Next, measure the broth, seasonings, noodles and any other add-ins. After measuring, add them straight into the pot as well. Then, set your Instant-Pot or cook it on the stovetop. Directions for both are included! 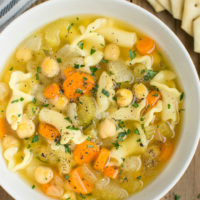 I like to add chickpeas to my soup for a classic “chicken noodle soup” made vegan. But you can leave them out or choose one of the following replacements. Or any vegetables you may be needing to use up. What pasta should I use? For this vegan noodle soup I went with a campanelle pasta I found at my local Target store. (pictured below) It has a ruffled bell-like flower shape making it great for soups. 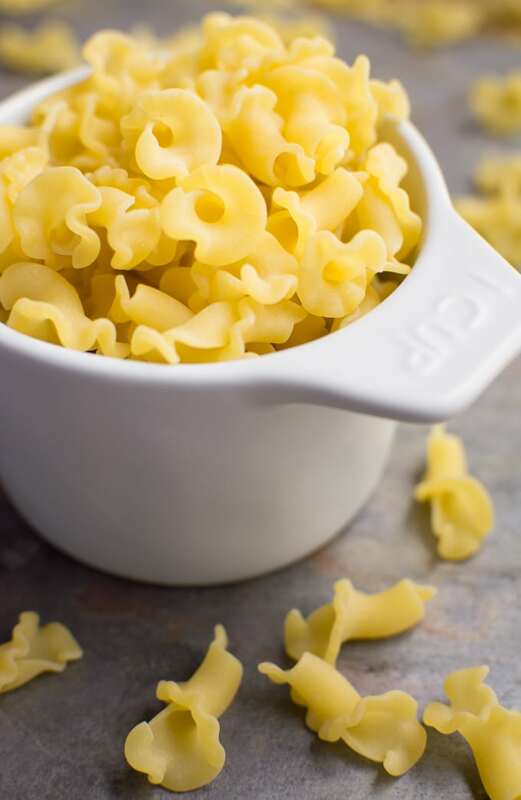 If you are unable to locate campanelle pasta, any spiral noodle can be used. Does the pasta keep well in leftovers? To avoid soft pasta you can cook it separately. 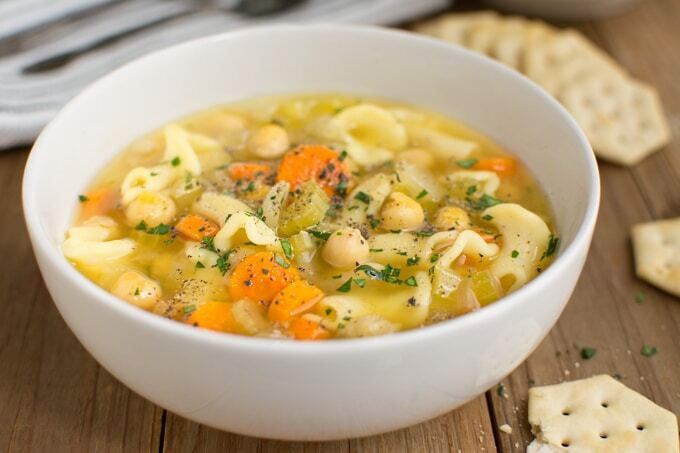 Add the soup to your Instant-Pot or a large soup pot and the noodles to a separate, smaller pot. Cook the noodles according the package. Just before serving, add a small portion of pasta to each bowl and enjoy! Store any leftovers separately. 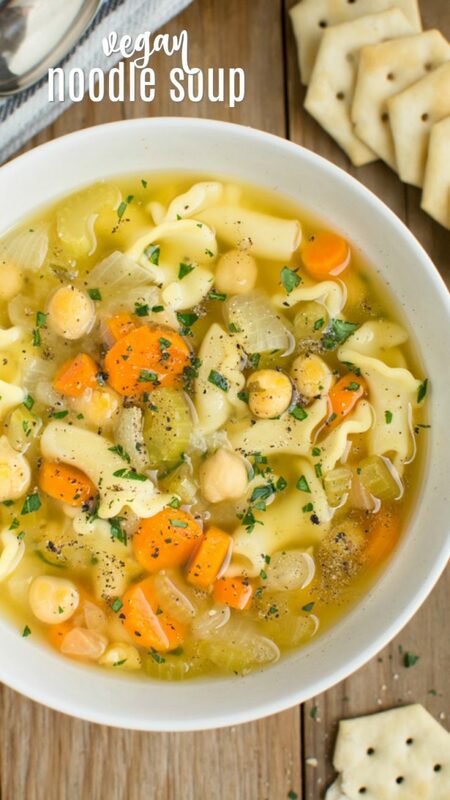 This method is also great for making this vegan noodle soup ahead of time. Can I add extra pasta? I’m a fan of extra pasta in my soups so I say YES! But, it must be cooked separately. If it is added to the soup it will absorb too much of the broth which the recipe doesn’t account for. Cooking them separately will yield more broth in the soup and extra pasta to add in! So it’s definitely the way to go! 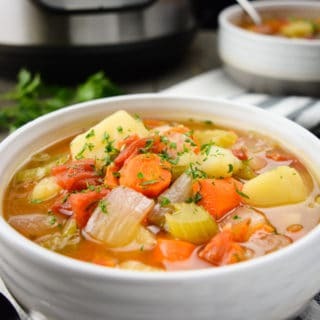 For another classic homestyle soup that can be made in the Instant-Pot try my Instant-Pot Vegetable Soup. 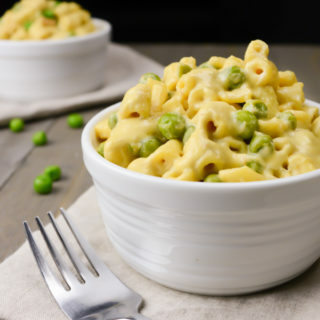 It’s loaded with chunky vegetables for a hearty, warming meal! 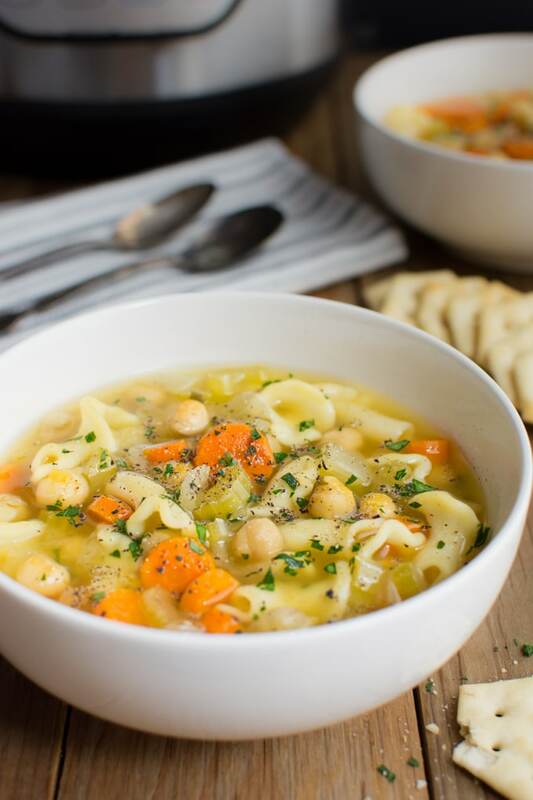 Vegan noodle soup can be made in the Instant Pot or on the stovetop. This one-pot classic soup is full of easy-to-find, everyday ingredients making it an ideal last minute meal. 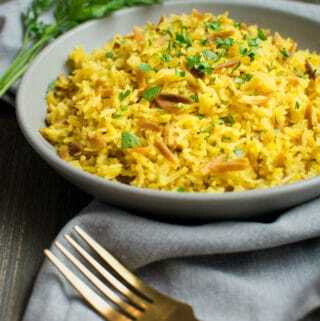 A vegetarian, dairy-free and nut-free recipe with a gluten-free option. Start by chopping the vegetables: carrots, celery and onion. I like a smaller chop for this soup. Add everything (chopped veggies, broth, water, pasta, seasoning and any other add-ins) to your Instant-Pot. Set to high pressure for 4 minutes. Manually release the pressure after 5 minutes. Check the pasta for doneness and serve when it is tender yet firm. Add everything (chopped veggies, broth, water, pasta, seasoning and any other add-ins) to a large soup pot. Simmer for 15-18 minutes or until the pasta is tender yet firm and the veggies are cooked. 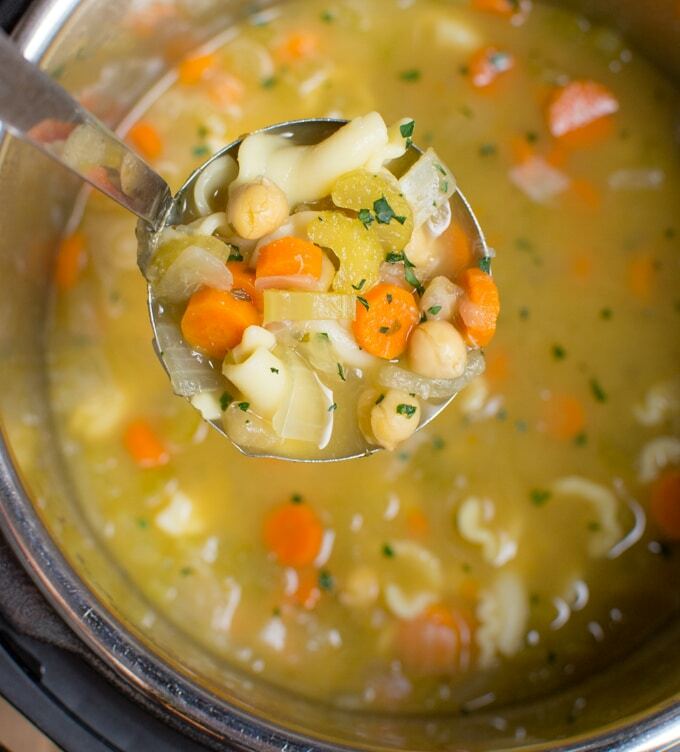 The longer the soup sits the more everything comes together creating more depth in the flavors. To avoid soft pasta cook it separately. I'm glad to hear the soup was able to save the day! I hope everyone is feeling much better! Where it says 1 cup pasta - is that one cup dry? Or how many ounces so I can eyeball the amount based on a 16oz box?